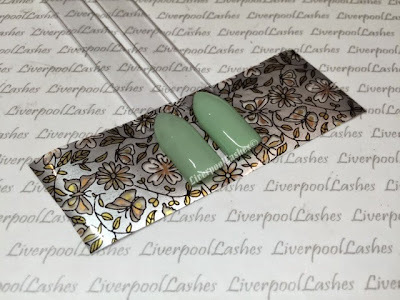 LiverpoolLashes Beauty Blog: Sheer Shellac Shades - Resolved! Of course I prefer to do two coats of any shade for many reasons, it's more cost effective, it's quicker, I do believe it's less likely to chip to name a few. However, if your client chooses one of the new more sheer shades, it's sometimes too late by the time that you have discovered that the third coat isn't quite going to cover her prominent natural smile line. 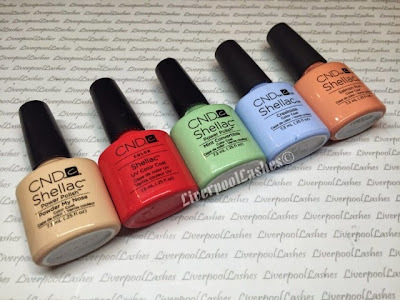 One of my followers mentioned using CND Shellac in Romantique underneath the colour coats as she didn't use that shade very often. Romantique is a very good idea as its a milky, slightly sheer pink and would try to masque the nail bed however the colour that I think is perfect and has been working well for me is Studio White. When Studio White was released I was really excited as I thought it would be a good alternative for clients that want a more natural french polish however as time has got on I find that for the small amount of french polishes I do, my clients always request the brighter Cream Puff instead. The above photo is 2x coats of CND Shellac in Mint Convertible on the left and then the same on the right only I applied a layer of Studio White first. I put the colour pops on the patterned foil so that you could hopefully see the difference it makes. As I say, I would prefer not to have to do three coats but for the rare occasion a client chooses a shade that I know may need a little something extra, I now ensure that I always apply a layer of Studio White first which is equally giving me a good finish as well as using one of my shelf sitters. I hope you've found this post useful. Please make sure you're following my Facebook page to keep up to date with my latest posts.